Discussion in 'Online Casino Promotions' started by Marina, Oct 31, 2016. Unfortunatly Guts Casino had to cancel this promotion. There were bugs with the pumpkin game which they could not manage to debug in time. Usher in the month of November with a superb new Halloween-inspired online casino promotion at Guts Casino. 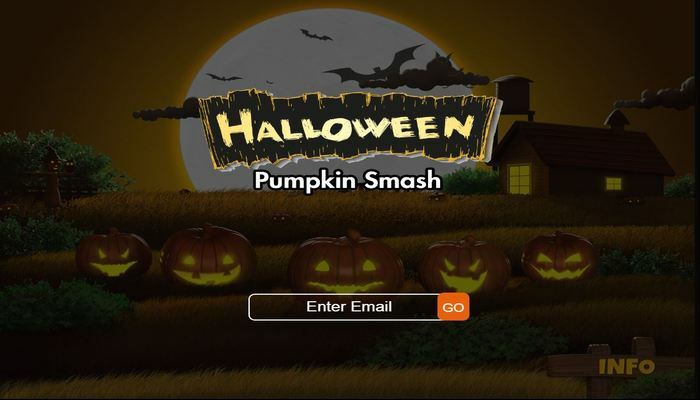 The Halloween Pumpkin Smash promo kicks off on October 31st 2016 and will run for an entire week. your rewards. That’s right – 7 full days and 7 opportunities to win prizes such as free spins, reloads and cash bonuses. You can enter every day and win every day – the choice is yours! “Ghoulishly great Halloween prizes up for grabs every day until November 6th 2016,” invites Guts Casino. Your first step is to log into your Guts.com account and launch the Halloween Pumpkin game from the casino. You then enter the email address registered to your Guts casino account (if you’re not sure what it is, please visit the My Account area). As Guts Casino says, you need to “smash the hell out of the pumpkins” piñata style and you could win fantastic prizes. After you hit a win, you click the ‘Claim Now’ button and fill in the form. You then wait for an email to be sent to you with the details of how to go about claiming the rewards. The special offer will run from October 31st 2016until November 6th 2016 23:59. Each new day enables the player to play the mini Pumpkin Smash game one time. No exceptions will be made if you cannot play on a certain day. You will need to have a fully registered and validated Guts account in order to take part in this promotion. You can only be eligible for the Pumpkin Smash offer if you have made at least one deposit into your Guts.com account. Make sure to enter the exact email address that is registered in your Guts.com account. If you win free spins or a no-deposit cash bonus in the mini game, the prizes will be awarded to you the following day. You will need to claim them win 48 hours. You can claim those prizes that require a deposit to be triggered immediately after you win them. There are no wagering requirements on free spin rewards. Wagering requirements apply to no-deposit and match bonus prizes. a 50% up to €50 match bonus, a 10% up to €10 top up on deposits of the day, free spins on Blood Suckers slot, free play and more! to enjoy games by providers such as Microgaming, NetEnt, Betsoft Gaming and more. The site has won Best Casino of the Year award several times.